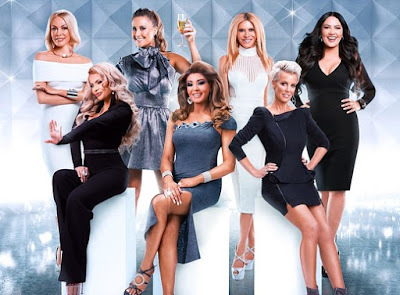 iRealHousewives | The 411 On American + International Real Housewives: The Real Housewives Of Melbourne May Have Major Cast Shakeup For Season 5! According to a new report, big changes are coming to the upcoming fifth season of The Real Housewives of Melbourne. LALATE reports that filming will kick off within days for its fifth season. However, the current cast members are not aware if new cast members are joining the show, or if they will be invited back. Despite some ladies have teased that the show has been renewed for another season via their social media, sources reveal that "no decision has been made yet by Foxtel." The outlet reveals that "two cast members were rumored to leave, one might exit, and two are being tested." It was revealed last year that the fourth season of the Foxtel hit reality series was returning to Bravo over the summer, with sources claiming it was premiering in the U.S. around July. However, that did not happen, leaving fans begging Andy Cohen to bring the Australian show back. So why did the show didn't air in July? LALATE reported in September 2018 that "the debut date for Real Housewives of Melbourne Seaosn 4 for US market’s BravoTV is currently “on pause”, without further detail." Apparently the issue, is the time slot. If you recall, the first seasons usually aired weekend daytime. The outlet claims that "Bravo has never had a programming position for weekend daytimes. But RHOMelbourne was thrown into midday weekend vacancies its first seasons. But that option is no longer available. BravoTV ostensibly now runs a block of “BravoTV Big Picture” which is near license free old movies that run consecutively." If you recall, Season 3 aired on Friday nights. This fall, Bravo "has backed off its desires to beef up Friday night programming and increased its weekend Big Picture. So where Real Housewives of Melbourne would air has become problematic." Sources has revealed to LALATE that "the network is not excited about airing Season 4 when reports about cast exits for Season 5 are already widely documented (some even confirmed)." While the network does not have the rights to air old episodes of the Foxtel hit reality series to test the market, or to revamp-up excitement for a new season. The outlet reports that Bravo "is interested in hearing from viewers if they will tune in with big numbers" if season 4 returns to U.S.